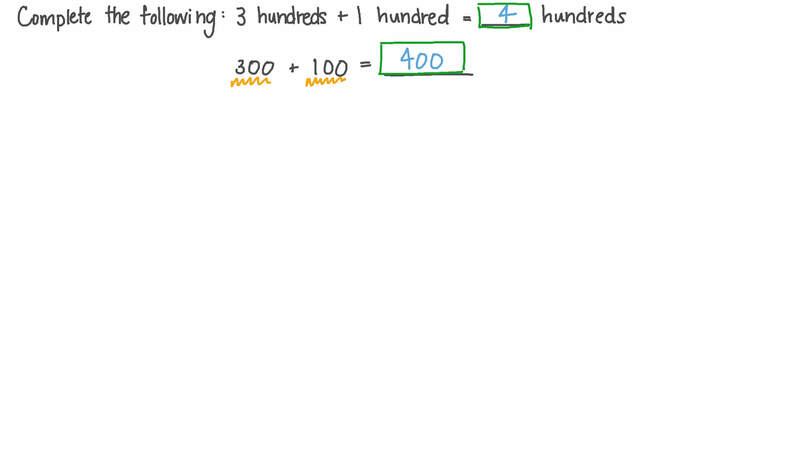 In this lesson, we will learn how to use place value blocks to add hundreds. Complete the following: 3 + 1 = h u n d r e d s h u n d r e d h u n d r e d s , 3 0 0 + 1 0 0 = . Anthony wants to solve 2 1 5 + 3 2 7 . He made partial sums by adding the hundreds, then the tens, and then the ones. Add 500 and 30 and 12 to find the total. 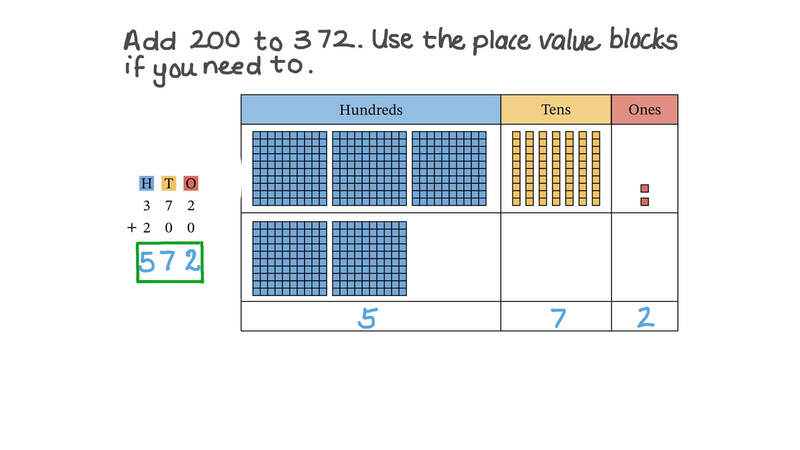 Use the place value blocks if you need to. Complete the following: 1 + 1 + 4 = , 1 0 + 1 0 + 4 0 = , 1 0 0 + 1 0 0 + 4 0 0 = . Find 4 2 7 + 3 3 8 . 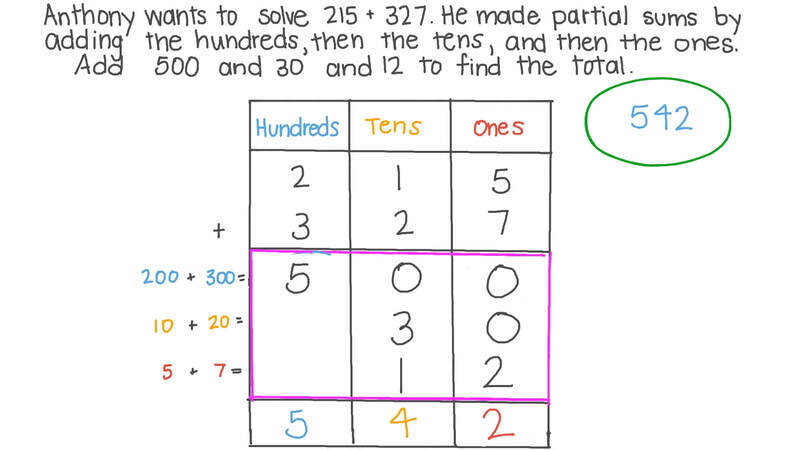 Hint: Make partial sums by adding the hundreds, adding the tens, and adding the ones. Find 2 6 3 + 2 1 9 . A person bought a notebook for 500 pt and a pencil for 200 pt. How much money did he pay? A boy saved 500 LE in the first year and 100 LE in the next year. How much did he save in two years? Complete the following: 1 + 5 = h u n d r e d h u n d r e d s h u n d r e d s , 1 0 0 + 5 0 0 = . Complete the following: 2 + 4 = h u n d r e d s h u n d r e d s h u n d r e d s , 2 0 0 + 4 0 0 = .